Hanoi (VNA) – Vietnam’s derivatives market will start official operations on August 10 with the VN30-Index futures contract set to launch first. This was stated by Pham Hong Son, Vice Chairman of the State Securities Commission, at a press conference on August 8. In Vietnam, the current law allows three types of derivative products -- futures contracts of shares indexes with the VN30-Index and HNX30-Index as underlying assets, and five-year Government bond future contracts. The VN30-Index and HNX30-Index capture the performance of the top 30 largest stocks on the HCM and Hanoi stock exchanges in terms of market value and liquidity. Derivative is a security with price that is dependent upon or derived from one or more underlying assets. 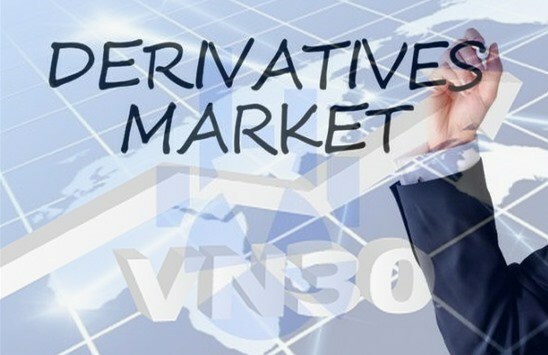 According to the Prime Minister’s direction, since the derivatives market is new and under trial, the VN30 futures contract will be launched first to limit risks, while the HNX30 and Government bond futures will be introduced later, Son said. He said the VN30 adequately covers the largest large-cap companies on the HCM Stock Exchange. The derivative market will open at 8.45am, 15 minutes earlier than the opening hour of the stock market, and close at 3pm. Prices of products are allowed to fluctuate by /- 7 per cent and and price quotation is 0.1 VN30 index point. Son said legal framework and procedures to ensure the listing, trading and clearing of derivative products have been fully enacted. The Hanoi Stock Exchange, Vietnam Securities Depository and Vietinbank have finished testing the trading system with seven market clearing members, including HCM Securities, Saigon Securities Inc, VP Bank Securities and Viet Capital Securities, as well as VNDirect Securities and MB Securities.